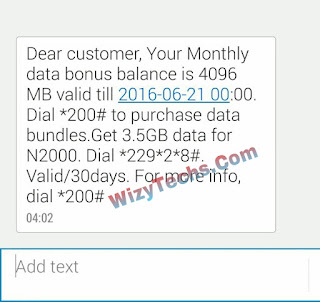 Hello guys if you are keeping quite at this time when etisalat is dashing and awarding free 4GB data to all the people that enjoyed the free 4GB on this blog last month, you are on a long thing. 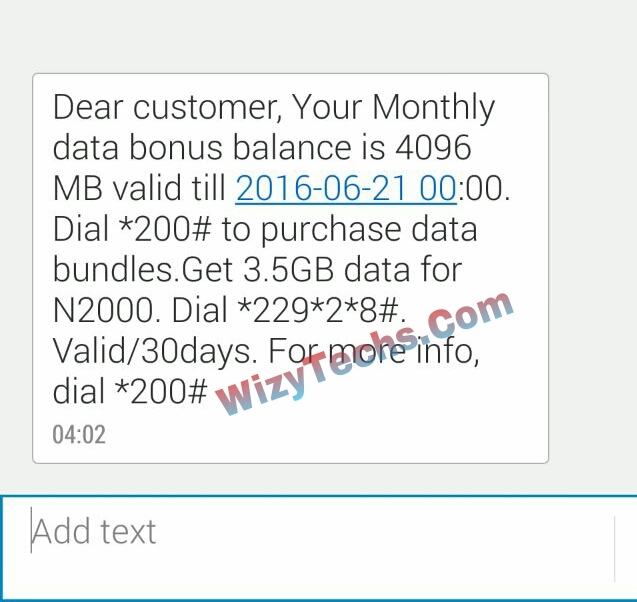 People continue receiving their etisalat data pension of free 4GB😀 even today. As soon as yours expires (reaches 30 days), you will be eligible for another awoof 4GB and this will continue until one year unless etisalat suddenly wake up and block it. If you are among those that are new to this blog or you weren't around when others enjoyed it, click HERE to see how it works and how it is been gotten. No dulling. Some people even have this free data already on their SIM but they don't know. Start now and check your data balance. Enjoy while it last! Can it still be activate? Am addicted to this blog. Its like my news paper. Any hour without paying a visit here seems like any day i didn't visit Nairaland. WizyTechs and Nairaland are my best. Continue the good work here. Again let me commend you on the latest app. Its nice and really keep me in touch with updates here. Hi Sunday, the data is for those that enjoyed it here last month. Meanwhile, few lucky people are still able to get it at the moment for the first time and you don't have to be on a specific plan before you will be eligible. All the SIM cards that got the free 4GB last month are the ones getting it again this month and it will continue till one year. wiywz any other way round,it aint working down here. You already benefited from this offer, that is what I keep getting. Not happy at all. Sir wizy I still cannot boot to recovery mode on my infinix hot note pro. Please where can I download kitkat rom I want to downgrade and see if the recovery mode come back. tanx broo.......jxt got mine dis mornin..